1. Ph.D. in Geography, 2001, State University of New York at Buffalo. 2. M. S. in Geography, 1994, Nanjing University, China. 3. M. A. in Geography, 1997, The University of Akron, Ohio. · My major interests fall within Economic Geography, GIS, Spatial Statistics, and Contemporary China. Particularly, I am interested in technological innovation and urban/regional economic development. · Principle Investigator. “Foreign Research and Development Investment in China.” National Science Foundation. $139,863. August 2002 – January 2007. · Principal Investigator. “Collaborative Research: A Comparative Study of ICT Industry Development in the Beijing, Shanghai-Suzhou, and Shenzhen-Dongguan City Regions in China,”National Science Foundation, $49,698 allocated for my part.2006 –2010. Sun, Yifei, Max von Zedtwitz and Denis Fred Simon (eds), 2008. Global R&D in China. London: Routledge (It was also published as a Special Issue in Asia Pacific Business Review in 2007). 1. Kalafsky, Ronald V.and Yifei Sun. Guest Editors, 2011. Special Issue on Asian Manufacturing. GeoJournal. 76(6). 2. Sun, Yifei and Rongping Mu, Guest Editors, 2010. Special Issue on China’s New Innovation-Oriented Strategy. 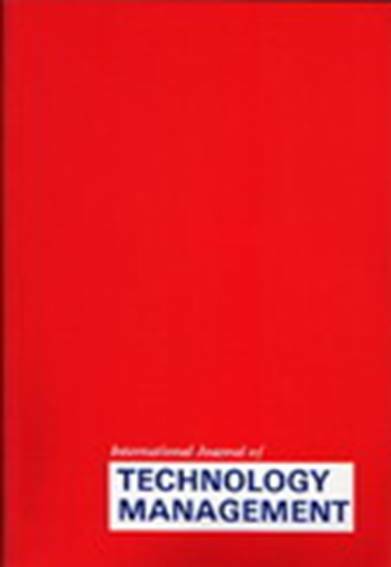 International Journal of Technology Management 51 (2/3/4). 3. 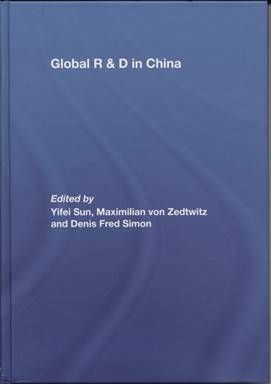 Sun, Yifei, Max von Zedtwitz and Denis Fred Simon, Guest Editors, 2007 Special Issue on Global R&D in China, Asia Pacific Business Review 13(3). 4. 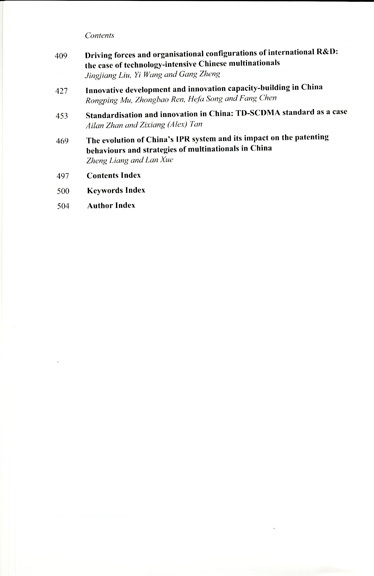 Zhou, Yu and Yifei Sun, Guest Editors, 2006 Special Issue on Science and Technology Development in China, China Review 6 (1). 2. Sun, Yifei. 2011. “Location of Foreign Research and Development in China.” GeoJournal. 76(6): 589-604. 3. Sun, Yifei and Debin Du. 2011. “Domestic firm innovation and networking with foreign firms in China’s ICT industry.” Environment and Planning A 43(4): 786-809. 4. Sun, Yifei and Yu Zhou. 2011. “Innovation and Inter-firm Technological Networking: Evidence from China’s Information Communication Technology Industry.” Erdkunde 65 (1): 55-70. 5. Yu Zhou, Yifei Sun, Y. H. Dennis Wei and George C.S. Lin. 2011. “De-centering ‘spatial fix’-patterns of territorialization and regional technological dynamism of ICT hubs in China.” Journal of Economic Geography, 11: 119-150. 6. Lin, George C. S., Cassandra C. Wang, Yuzhou, Yifei Sun and Yehua Dennis Wei. 2011. “Placing technological innovation in globalizing China: production linkage, knowledge exchange and innovative performance of the ICT industry in a developing economy.” Urban Studies, 48(14): 2999 – 3018. 7. Wei, Dennis Y. H., Yu Zhou, Yifei Sun and George C.S. Lin. 2011. “Production and R&D networks of foreign ventures in China: implications for technological dynamism and regional development.” Applied Geography, 32: 106-118. 8. Sun, Yifei and Rongping Mu. 2010. (Editorial). Introduction to the special issue on China’s New Innovation-Oriented Strategy. International Journal of Technology Management 51 (2/3/4): 159-167. 9. Sun, Yifei. 2010. 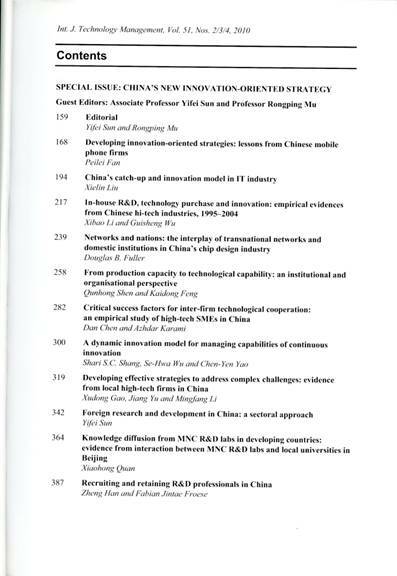 “Foreign Research and Development in China: a Sectoral Approach.” International Journal of Technology Management 51 (2/3/4): 342-363. 10. Sun, Yifei. 2010. “What Matters for Industrial Innovation in China: R&D, Technology Transfer or Spillover Impacts from Foreign Investment?” International Journal of Business System Research, 4(5/6): 621-647. 11. Sun, Yifei and Debin Du 2010. “Determinants of Industrial Innovation in China: Evidence from Its Recent Economic Census.” Technovation, 30(9/10): 540-550. 13. Sun, Yifei and Hongyang Wang.2008 “How to develop High-Tech Industry Clusters in Less Developed Areas (Experiences from Austin, TX and North Carolina Research Triangle (次发达地区如何发展高新技术产业群: 来自美国德州奥斯汀和北卡研究三角园的启示).” In Annual Report of S&T Development of China 2006-2007 (中国科技发展报告2006-2007), Edited by LIU Xielin. Beijing: Intellectual Property Press. Chapter 8: 71-81. 14. Sun, Yifei, Maximilian von Zedtwitz and Denis Fred Simon. 2007 “Globalization of R&D and China: an Introduction.” Asia Pacific Business Review, 13(3): 311-319. 15. 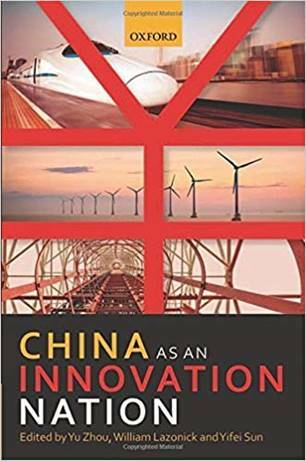 Sun, Yifei and Ke Wen, “Uncertainties, Imitating behaviors and Foreign R&D Locations: Explaining the Over-concentration of Foreign R&D in Beijing and Shanghai within China.” Asia Pacific Business Review, 13(3): 405-424. 16. Yifei Sun and Ke Wen. 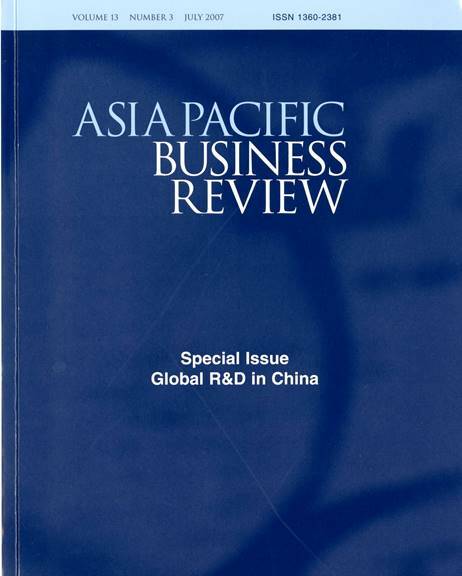 “Country Relational Distance, Organizational Power and R&D Managers: Understanding Environmental Challenges for Foreign R&D in China.” Asia Pacific Business Review, 13(3): 425-450. 25. Sun, Yifei. 2003. “Strategic or Tactical? Foreign Research and Development in Developing Countries: A Case Study of China.” Asian Geographer 22(1-2): 143-167. 29. Sun. Yifei. 2002. “Determining the Size of Spatial Clusters in Focused Tests: Comparing Two Methods by Means of Simulation in a GIS.” Journal of Geographical Systems 4(4): 359-370. 42. Sun, Yifei. 2009. Book Review. “Handbook of Research on Asian Business.” (Edited by Henry Wai-chung Yeung, Cheltenham, UK: Edward Elgar), Economic Geography 85 (3):339-341. 43.Sun, Yifei. 2005. Book Review. “China’s Telecommunications Market: Entering a New Competitive Age.” China Information 19 (1): 145-147. 44. Sun, Yifei. 2004. Book Review. “Chinese Capitalism in a Globalized Era: Towards Hybrid Capitalism.” China Information 18(2): 358-360. 45. Sun, Yifei. 2002. Book Review. 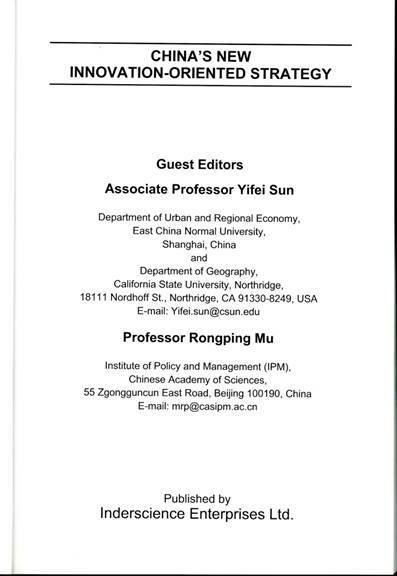 “The Chinese City in Space and Time: The Development of Urban Form in Suzhou.” Yearbook of the Association of Pacific Coast Geographers 64: 163-166. 46. Sun, Yifei.2001. Book Review. “The Engines of Tomorrow.” China Science Times (科学时报), December 4, 2001.